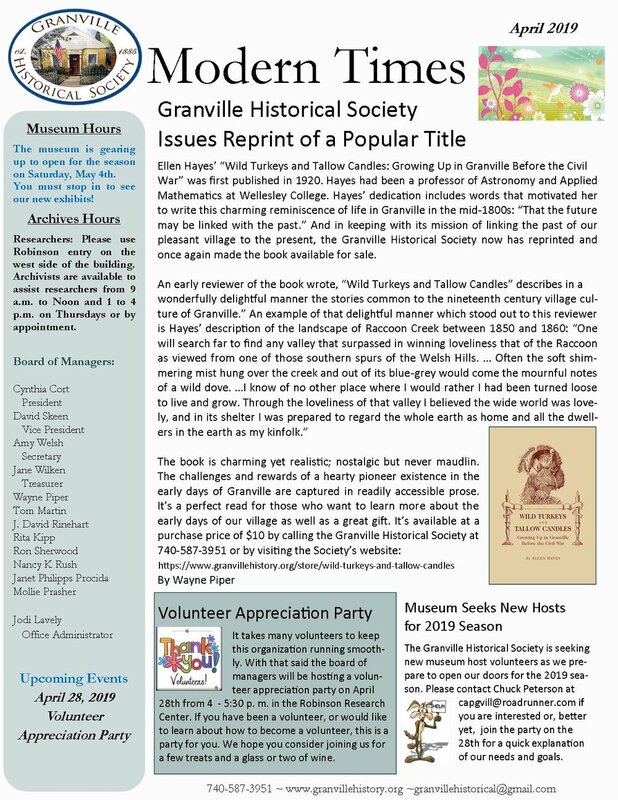 The April issue of our free monthly e-newsletter, Modern Times, is now available. This month features the reprint of Ellen Hayes’ Wild Turkeys and Tallow Candles, a call for more hosts for the museum (which reopens on May 4), and more. It's free! To read previous issues, click here.